Here's an amazing new recipe for you to use at any summer get-togethers! Lettuce salads can be a mess to toss when you’re making a big one for a large group of people. They also wilt when they sit out for too long. 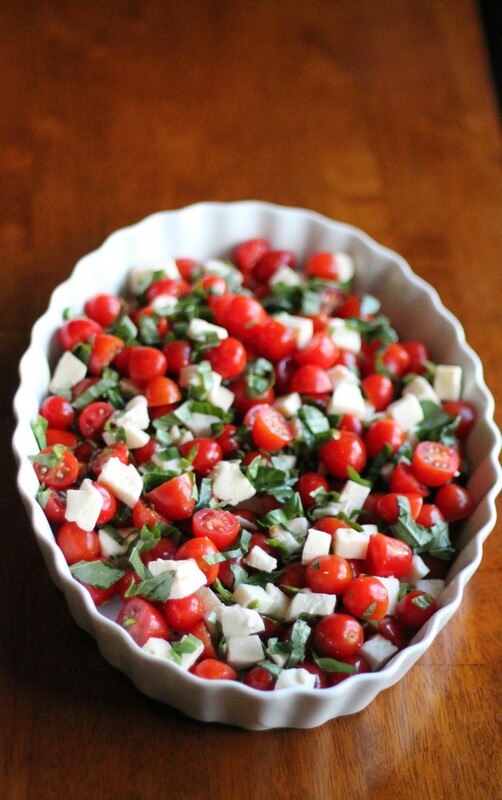 Caprese stays fresh for hours, and the vinaigrette and basil continue to flavor the tomatoes as it sits! Best of all, it's so simple to make it's almost impossible to mess up…seriously! – Just toss all of the ingredients together and serve! Yes, it's that simple!